In-store beacons push advertisements and other content to your phone using Bluetooth — but only if you let them. Beacons don't automatically track your location or movement, but they do communicate with apps that could collect sensitive data. Thankfully, that's not the case, despite some wildly exaggerated reports. Beacons are one-way devices that send you information based on your location, but they don't store your data or send it anywhere. They won't even ping you unless you download specific apps and authorize them to communicate with beacons. That's the good news. The bad news is that beacons work directly with those apps, and the software could do something you won't like with your data. Say you regularly shop at Bill's Sporty Sportswear. If you download an app associated with that store, the next time you cross the threshold a beacon could ping your phone and notify you of a closeout sale on camping goods. 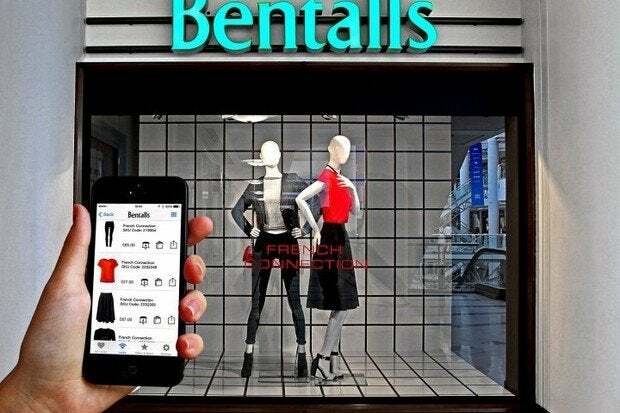 (Clothing stores in the United Kingdom are putting beacons inside store mannequins.) The beacons communicate with your phone via Bluetooth — and that's it. If you don't install the store's app, the beacons won't know you're there. Period. Beacons are growing in popularity, mostly for advertising. But as The New York Times recently pointed out, there's no reason they couldn't be used for other, less offensive reasons. A ballpark or a theater, for example, could use beacons to help you find your seat or lead you to a concession stand that sells your favorite sausage. The larger issue here, though, is not just about beacons. Many mobile apps store data and share it with random third parties. As I wrote earlier this year: "The vast majority of the most popular iOS and Android mobile apps collect a variety of personal data from users, including location details, address book contacts and calendar information, according to a Appthority, a company that advises businesses on security." Apps generally ask for your permission to collect data, but they sometimes do it obscure ways so users don't know they've given their approval. For example, the request could be buried in the tiny type of a user agreement or a hard-to-notice box could be checked by default. App developers make money by sharing data with advertising networks and analytics companies. Do you really think they can make enough money to justify their hard work by giving away apps or charging just 99 cents? The bottom line on beacons: Alone, they represent little or no threat. If you download an app that communicates with a beacon, you could be tracked and your data could be stored and sold to a third party. Paranoia? Not necessary. Being selective about which mobile apps you download, however, is always a good idea.